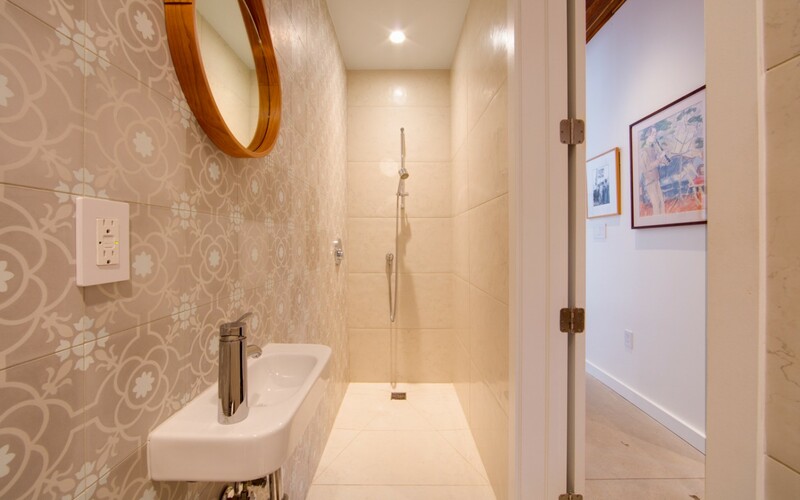 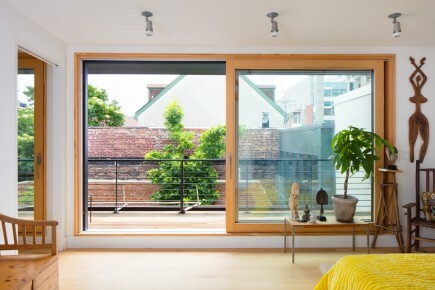 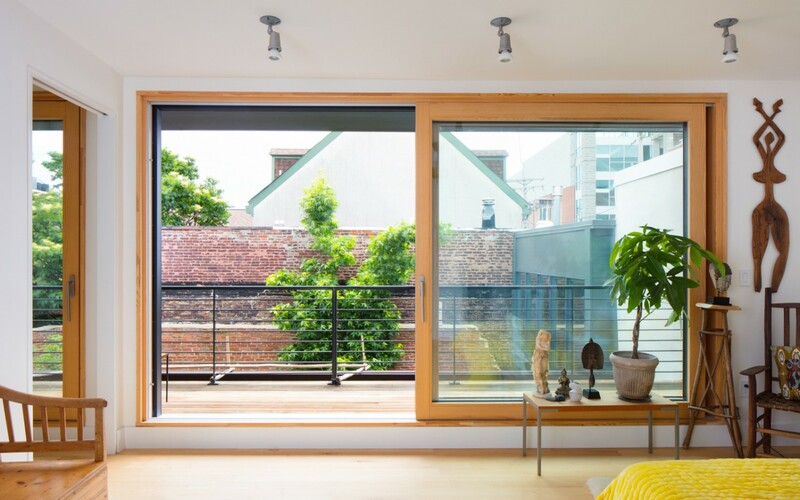 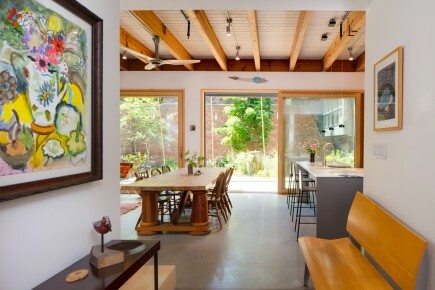 The Fells Point Passive House fulfills the aspirations of a couple dedicated to urban living, resilient design, and environmental stewardship. 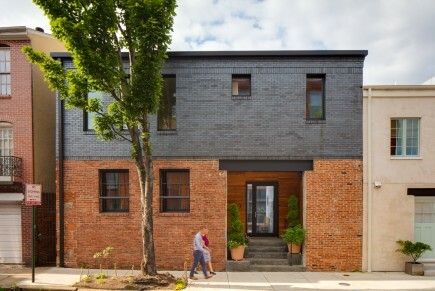 The development repurposes an underutilized urban lot in Baltimore’s historic Fells Point neighborhood into a home built to the Passive House standard and a separate office unified by a new private garden, as well as two income-generating rental units. 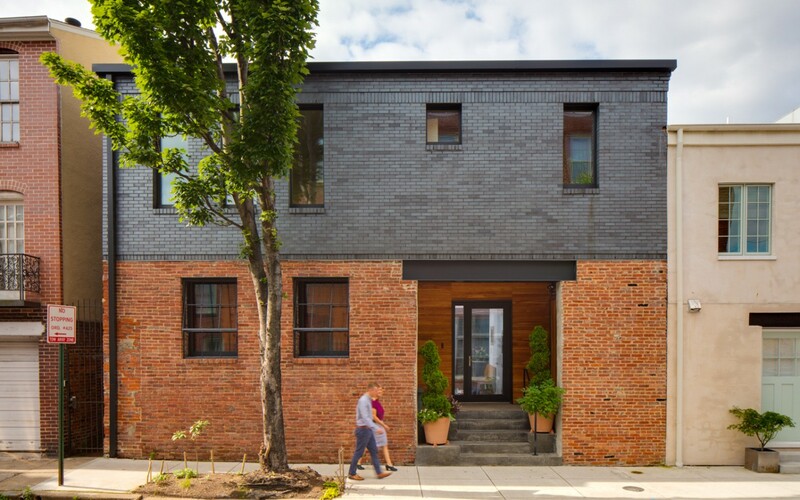 The design solution removes the roof of the former garage and warehouse and inserts a two-story ultra high-performance building into the historic shell. 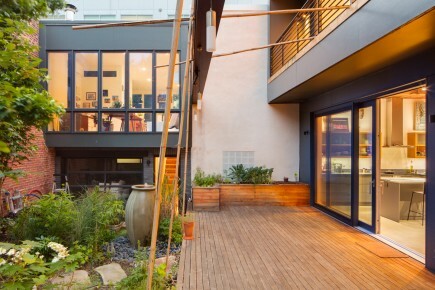 A deep “stoop” provides a threshold between the urban street and the private living space. 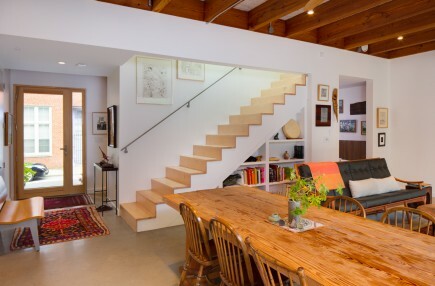 The interior is organized around a core of stairwell, bathroom, and systems which further separates the private living space from the public. 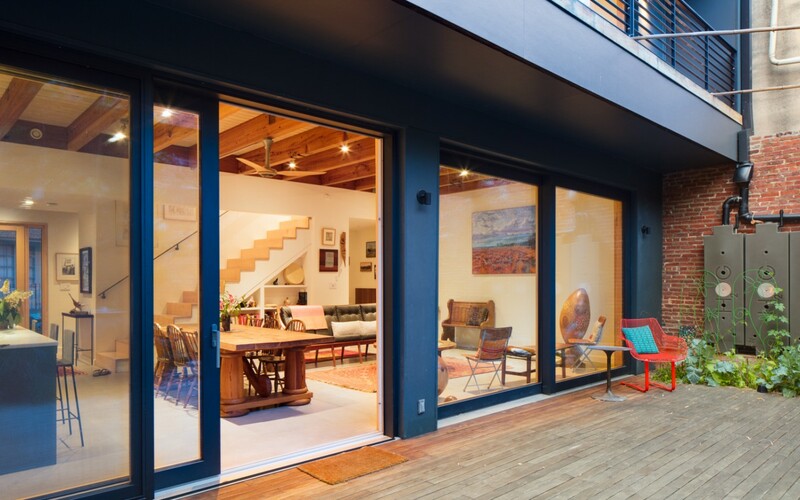 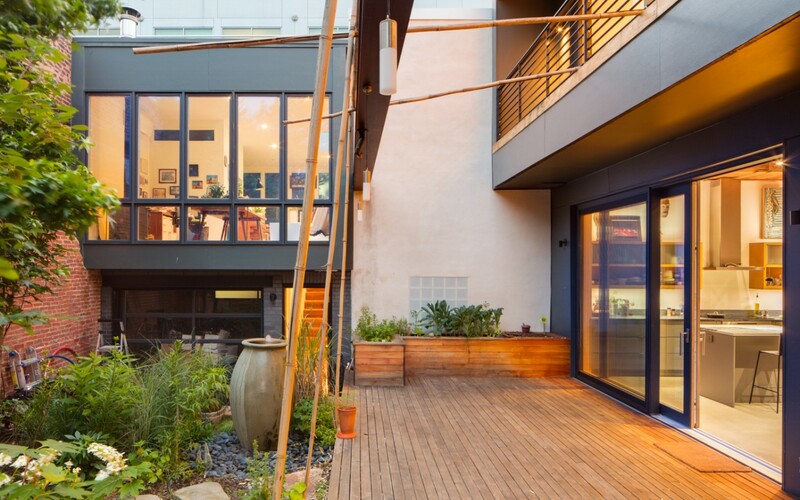 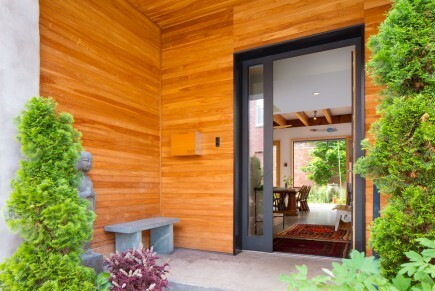 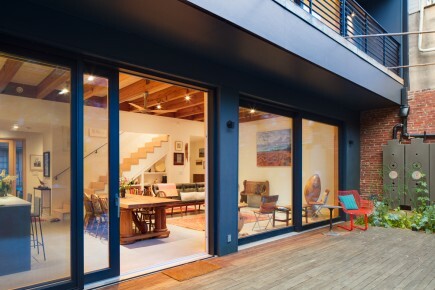 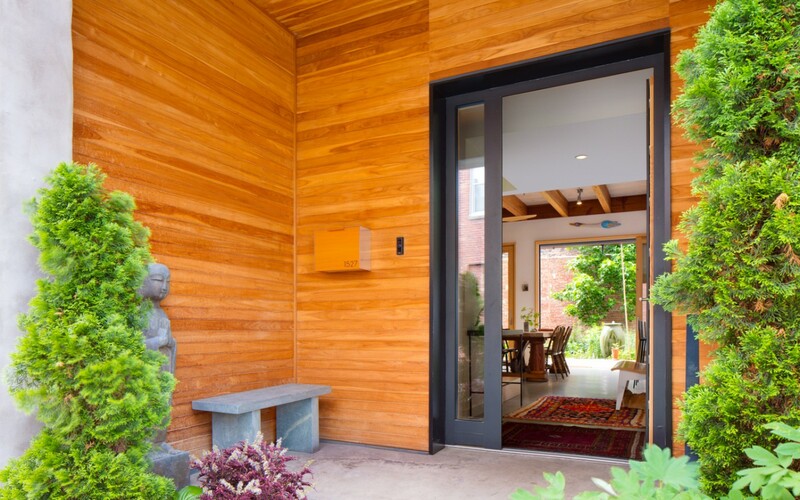 Monumental high efficiency triple-pane doors connect the open living space to the new courtyard garden on both levels. 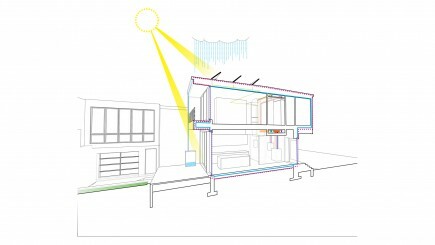 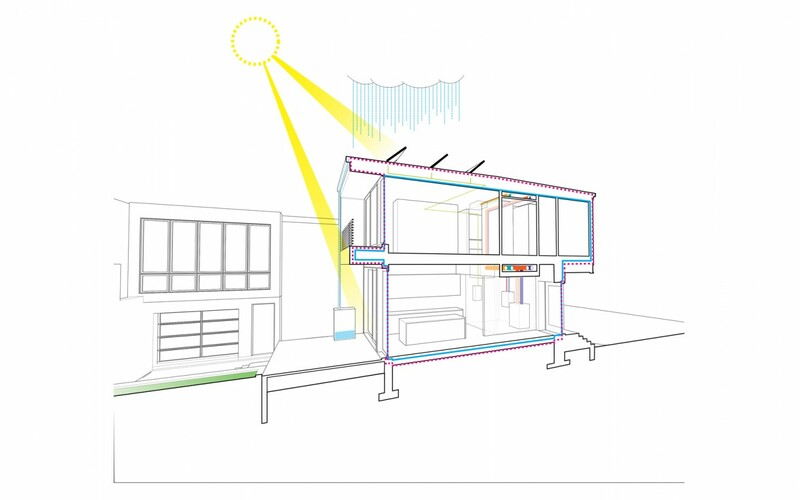 The super-insulated, air-tight building enclosure, together with a high efficiency mechanical system and a photovoltaic array, result in a near net-zero home. 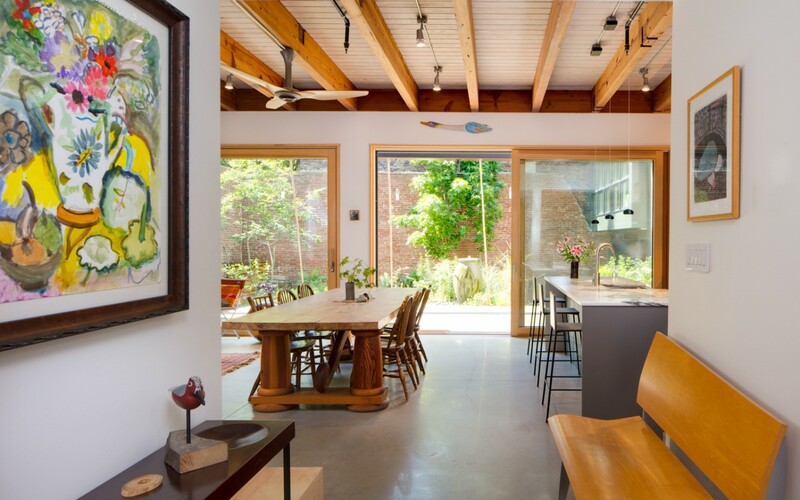 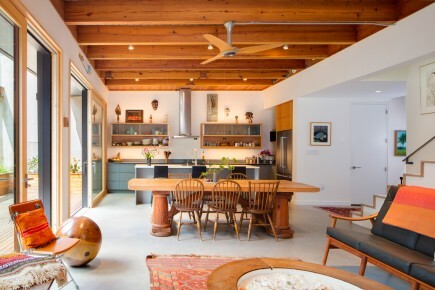 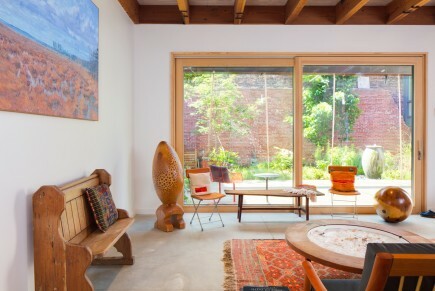 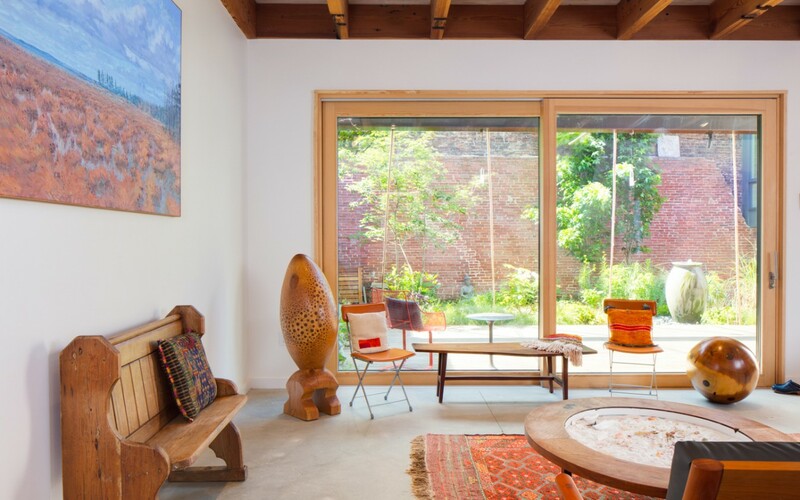 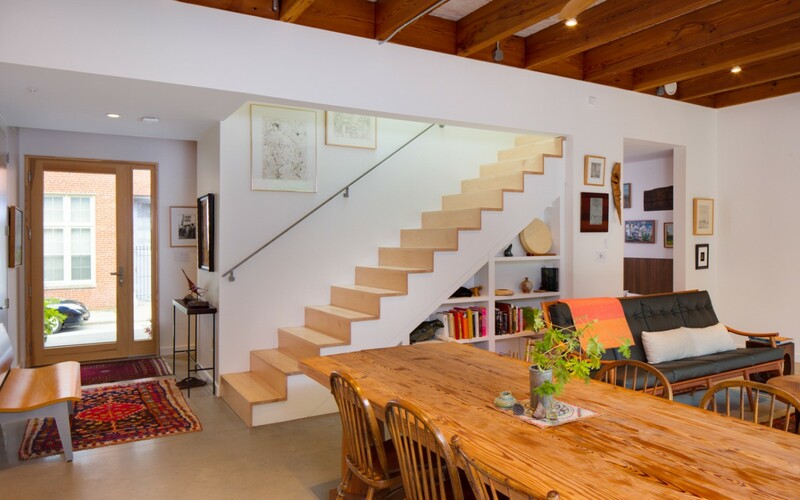 Plentiful light, natural and reclaimed materials, and outdoor connections support the owner’s conscious lifestyle.